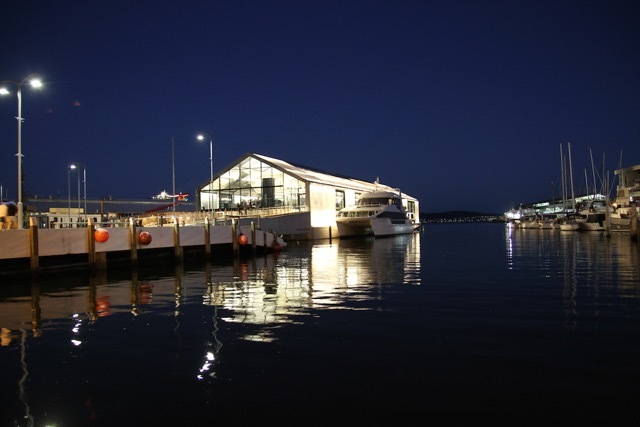 Constructed in 2014-15, the new Brooke Street Pier is a four storey floating pier located at Sullivan’s Cove in the waterfront area of the city of Hobart, Tasmania. 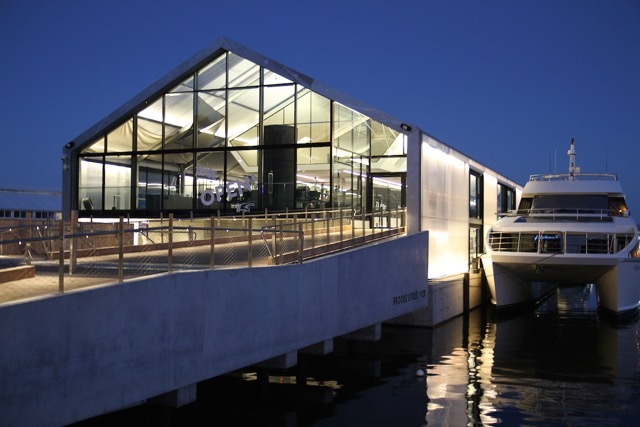 It is both a building and a boat; floating terminal and luminous conservatory. 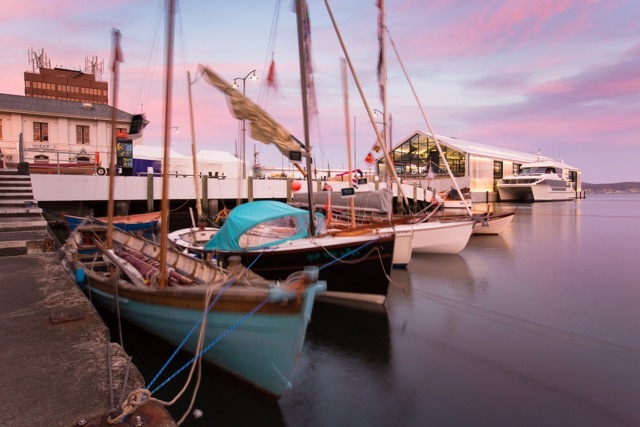 Brooke Street Pier has a rich history as a maritime and trade centre. The architecture of the building today is a reinterpretation of the former Brooke Street Pier and is a vibrant cruise, ferry and trade centre. Accommodated in Brooke Street Pier are three exceptional eateries: The Glass House, Aloft Restaurant and the Larder. Brooke Street Pier also contains a TRADE market space that is home to boutique and unique Tasmanian businesses such as Moo Brew, McHenry Distillery, Elliot My Dear and Grandewe cheese. The MONA ferry, Peppermint Bay cruises, Port Arthur Historic Site bookings, Experience Tasmania Charters and Red Decker bus tours provide booking and information services from the centre. 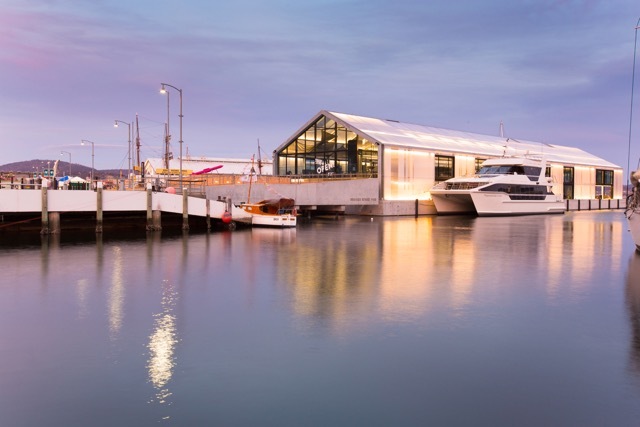 The finalists’ exhibition and awards evening for the Hutchins Australian Contemporary Art Prize will be held on the sea level at Brooke Street Pier. This diaphanous and expansive space is adjacent to the ferry boarding docks and easily accessible to patrons and tourists. MONA’s Dark MOFO (Museum of Old and New Art, Festival of Music and Art) reputed for being challenging and controversial, will be happening at the same time. Viewing a cutting edge exhibition at Brooke Street Pier in the middle of an icy winter during the ever surprising Dark MOFO is the only place to be.